Some incidents are guaranteed to make headlines, never more so than at COMAH (Control of Major Accident Hazards Regulations) and OSCR (Offshore Installations (Safety Case) Regulations) sites, which have the ability to turn even the smallest incidents into disasters. 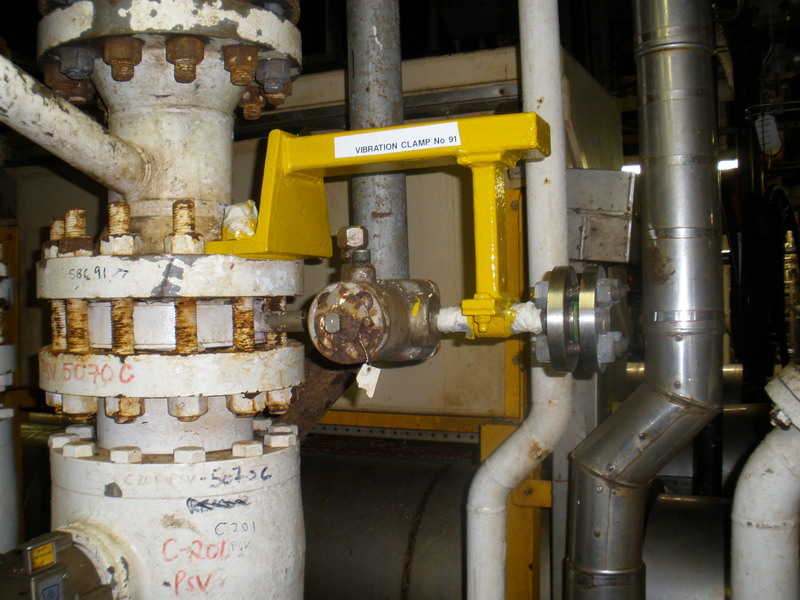 Available data for individual onshore plants suggests that in Western Europe, between 10 and 15% of pipework failures are caused by vibration-induced fatigue while offshore, the Health & Safety Executive (HSE) reports than more than 20% of hydrocarbon leaks are caused by piping vibration and fatigue. In 2012, 431 serious offshore incidents were reported, of which nearly 30% involved hydrocarbon release. More than 50 of these incidents were classed as major, and in total 33 were attributed to pipework failure. Vibration-induced fatigue clearly represents a serious risk category, but how exactly were these pipelines broken? The Energy Institute (EI) publication Guidelines for the Avoidance of Vibration Induced Fatigue Failure in Process Pipework contains an assessment chart to determine whether pipes are likely to suffer fatigue based on frequency and velocity of movement – and the levels for concern might be surprising. In fact, problematic vibration may not even be visible to the human eye as even at dangerous levels, prolonged movements of only 0.5mm can produce fatigue failure. For EI assessments, pipework movement must be measured in units of velocity at different frequencies. At 25Hz (1,500rpm) for example, pipework vibrating at 8mm per second would place it in the ‘concern’ range, while anything above 40mm/s is a definite problem. 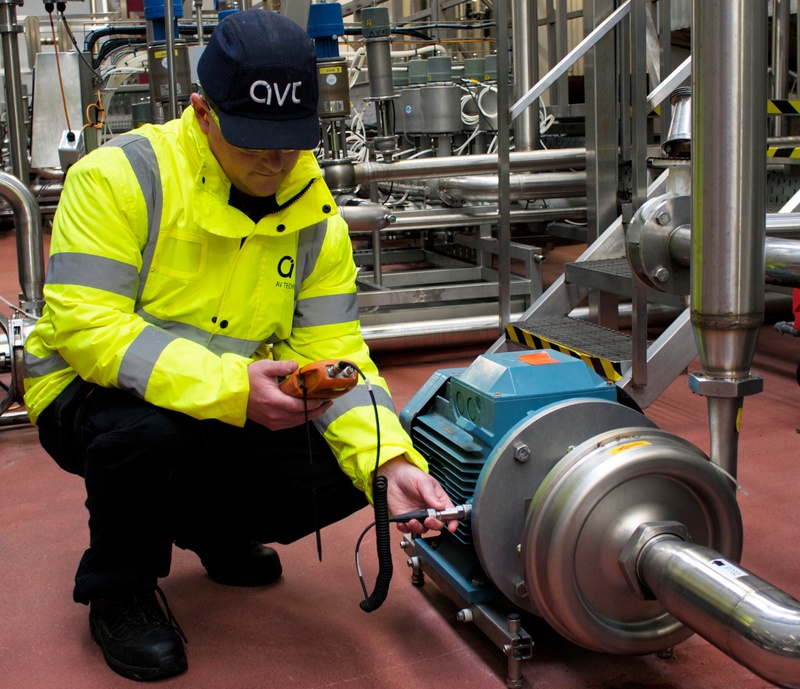 As the solution to vibration depends on the excitation mechanism, thorough inspection in the form of qualitative assessment, visual inspection, and specialist measurement and predictive techniques must be undertaken before determining the corrective action. The specialist measurement phase includes a variety of more in-depth tests from dynamic strain measurement and fatigue analysis to experimental modal analysis and operating deflection shape analysis, while engineers can also implement specialist predictive techniques, applying sophisticated tools and modelling to provide a more detailed assessment of the dynamics of specific pipelines throughout their lifecycles. Some solutions can be very straightforward. For example, it is common for pipelines to rest on supports without any additional protection against fretting damage, in which case a secondary ‘doubler’ plate can be installed for additional support and strength without modifying any processes. However, unsuccessful or incomplete attempts at supporting pipework can result in no reduction of vibration or even an exacerbation of the problem. Small bore connections (SBCs) are frequently braced to the deck or nearby structures, for example, but to adequately counteract vibration they should in fact be braced back to the parent pipe. Bracing solutions can also be fitted in the wrong place, supporting the pipe itself rather than the main mass such as a valve, while poorly maintained bracing can loosen and return the pipework to its original level of excitation. Another common mistake is to brace the pipework in only one plane, where vibration can cause movement in several directions. The most effective bracing system will be able to accommodate any geometric alignment of SBC, with a stiff truss design to resist movement on any plane. Similarly, for mainline pipes, visco-elastic dampers are effective in all degrees of freedom as they provide dynamic damping movement in all directions and over a wide frequency range. Another option for mainline pipework is a dynamic vibration absorber, which when tuned to the same frequency and direction as the problem vibration, will resonate to the same level out-of-phase to cancel it out. This is especially useful if there is no steelwork nearby on which to attach a visco-elastic damper. Although pipework vibration can be difficult to visually detect, knowledge of EI Guidelines and safe limits as well as an understanding of the most effective corrective actions can prevent the kind of vibration-induced pipework fatigue that can break a pipeline and hit the headlines. Neil Parkinson is technical director at AV Technology (AVT).